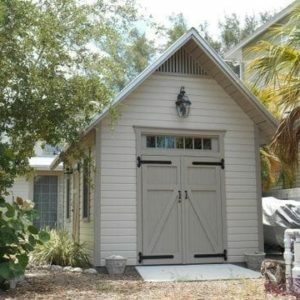 Plans for this elegant two-story, one-car garage apartment with attached workshop are designed in the classic 1920s tradition with wide eaves, exposed rafter tails, carriage house style overhead door and a spacious studio apartment. 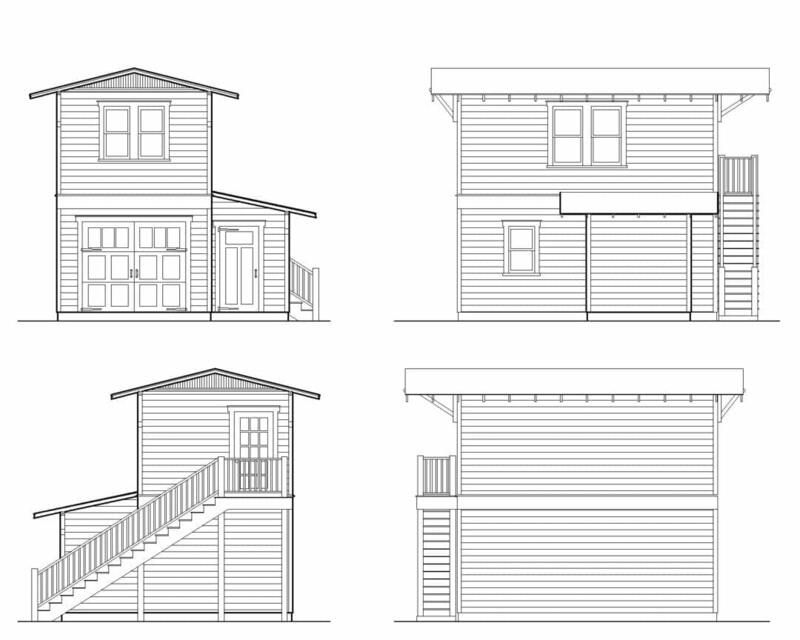 Plans for this elegant two-story, one-car garage apartment with attached workshop are designed in the classic 1920s tradition with wide eaves, exposed rafter tails, carriage house style overhead door and a spacious studio apartment. 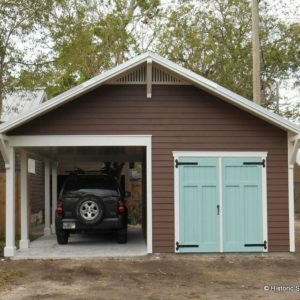 240 sf cottage with one car garage and attached storage. I bedroom, 1 bath. 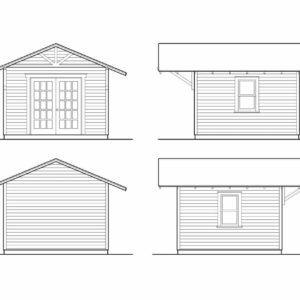 Build your own Two-story Bungalow Garage Apartment to complement your historic home. 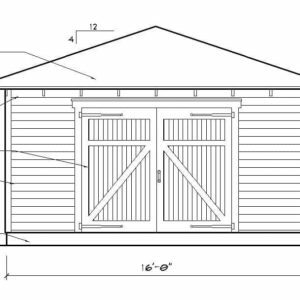 The footprint of the building is 12’x20′ with an 8’x6′ attached workshop. Modified plans can also be purchased. Designed for Ultimate Wind Speed of 140 MPH.